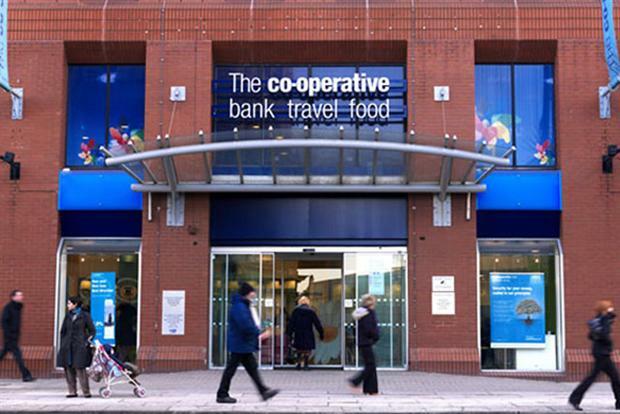 The Co-operative Group is asking consumers to help shape its strategy, including whether or not it should make political donations, how it should reward shareholders, and how it can help local communities, a move it is backing with a marketing push. The 150-year-old organisation is on a mission to restore confidence in its business, after being hit hard last year by a banking scandal, when a £1.5bn shortfall caused a political storm and highlighted former chairman Paul Flowers’ mismanagement of the business and unconventional lifestyle, including alleged drug-taking. Announcing the survey today, group chief executive Euan Sutherland admitted the group had "lost touch" and said the findings of the survey would shape its "strategy and purpose". The survey, which comes a month after the group's banking arm ran an ad thanking its customers after another round of allegations emerged about Flowers, invites the public, including customers and members, to "Have your say". The poll is being run in conjunction with YouGov and will form part of the group’s wider strategic review, the results of which will be released in May. The themes addressed in the survey include what the Co-operative means now and what it should stand for in the future; how it can help communities address the most important issues they face; how it should share its profits; whether it should make political donations; and how it can improve its goods and services. Sutherland said: "In recent years, The Co-operative has lost touch with its customers and members and with the communities in which it operates - we haven't been listening. As a new management team we are focused on renewing The Co-operative and the UK public will be vital to that process. "If we are to successfully serve the communities in which we operate, to become as relevant today as we were in the past, we need to hear directly from the communities and the people we serve. We have seen incredible loyalty from our customers, colleagues and members in recent months - now we want to reward that loyalty." Last year, the group’s banking business was under intense political and public scrutiny when a £1.5bn shortfall was revealed. It was bailed out by bondholders led by US hedge funds, which now own 70% of the bank. In November, the bank ran a press ad campaign to reassure consumers of its ethical banking credentials. The copy read: "Ethical banking has always been in our DNA. Now it’s in our constitution."